Nettoyage: The Sahara is sadly becoming polluted. This puts the fragile balance of the ecosystem of the Sahara in danger and as well as the oasis villages around the edge of the Sahara. During one of my first hiking trips in the desert area around M’hamid I saw a strange bird flying through the air. When I approached turned out to be a black plastic bag. 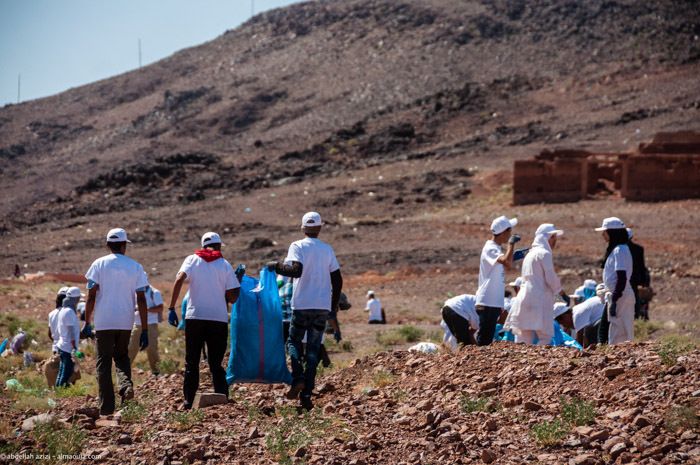 An idea was born to help this negative trend and on June 25, 2005 the first annual “clean up” operation in the vicinity of M’hamid, was organized by the family Sbai and L’Association Zaila, together with others from around M’hamid. 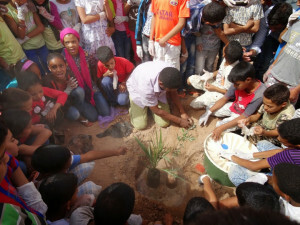 The delicate balance of the ecosystem of the Sahara is in danger and the oasis villages on the borders of these areas in Morocco are becoming engulfed with sand.